As the 2014 NFL season kicks off tonight in the Pacific Northwest, it's a good time to predict who will be winning the major hardware come season's end. 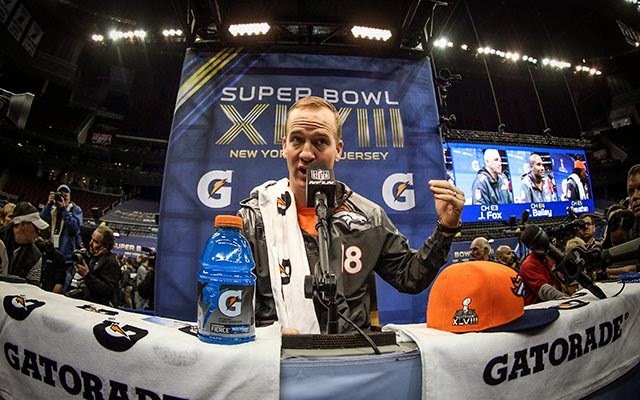 Will Peyton Manning win a record sixth MVP or will somebody else claim the trophy? Here are my awards predictions for 2014. Rodgers has always been dangerous (understatement much?) but he also has never had a running game much like the one he does now with second-year back Eddie Lacy. With a power back that will help take pressure off of the passing game, Rodgers and the Green Bay offense may just be unstoppable. And he will do it with losing another one of his top wideouts in James Jones. A rejuvenated Packers squad will have a big year and Rodgers will be the one in the driver's seat. I understand this award but in theory, shouldn't the MVP if he were an offensive player also be the Offensive Player of the Year? Defensive players don't get the love like they should for the MVP award and it has essentially turned into an offensive award, like the Heisman. Now the MVP is not always the OPOTY but it feels odd not to go with that. Watt already is the best defensive player in football and he has done it without having a dominant pass rushing force opposite him to help take the pressure of him. Well, he has got that now in top pick Jadeveon Clowney and his presence will help Watt put together a massive season where 20 sacks is certainly not outside the realm of possibility. After the unpopular trading of Darren Sproles to the Eagles, Drew Brees is going to need to find himself a new weapon in the short passing game and out of the backfield. Enter Cooks. The Oregon State product is electric when he gets the ball in the open field and in space, somebody Sean Payton will make certain to do. With a number of deep threats on the Saints, Cooks fits in well under neath and may just have a big year. Speaking of Clowney, I think this physical and athletic monster is poised to make a big impact in the NFL right away. Even with all those concerns, legitimate or not, about Clowney's work ethic and his attitude, he is too much of a freak not to be a very good player at the very least. Look for double-digit sacks opposite of Watt and a bright start to what should be a great career. Jones was poised for another monster season a year ago, and then he was lost for the season with a fractured foot in the fifth game. On a Falcons club that should be much better than it was a year ago, Jones should step right back in to put up big numbers with quarterback Matt Ryan. And if Atlanta can sneak back into the playoffs, Jones will be a big reason why. Kelly is going to prove to the league that his very successful first season in the league was not a fluke and that his innovative offense is not a gimmick. And with a defense that should be better than it was last year, plus you factor in a weak NFC East, Kelly has plenty of opportunity to win some ballgames. The Lombardi Trophy is a stretch but winning a playoff game isn't.